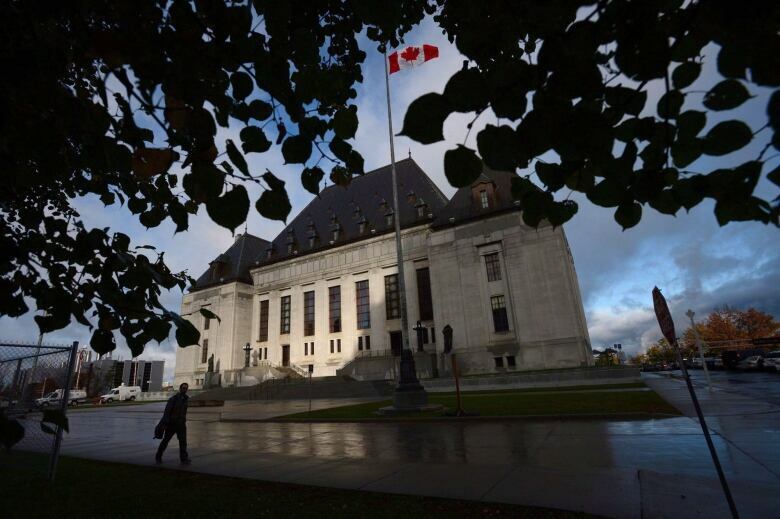 The Supreme Court of Canada will rule Friday on whether British Columbia has to hand millions of patients' health information over to tobacco giant Philip Morris International. It's the newest chapter in the province's legal fight to force cigarette makers like Philip Morris to compensate the province for the cost of treating tobacco-related illnesses — a battle that started way back in the late 1990s, when it first filed a lawsuit against 13 tobacco companies. The provincial government at the time argued companies advertised to children, marketed "light" cigarettes that they knew were no safer than regular cigarettes, and conspired to suppress research on the health risks of smoking. B.C. 's arguments mirrored similar legal action in the United States at the time that led to tobacco companies paying hundreds of billions of dollars to state governments. But Philip Morris International argues it needs access to individuals' health data to defend itself in court. The province's lawyers have argued that releasing individuals' health information — even anonymously — could violate privacy laws. "These databases include individual-level records of every hospital, medical and other health care attendance, diagnosis and treatment provided during the past 25 years to each insured person," argues B.C. in documents filed with the Supreme Court. Instead, B.C. offered Philip Morris information from Statistics Canada and provincial population data. "In 1998, the plaintiff was already hard at work analyzing its data in anticipation of this litigation. Some 20 years later, it is high time for [Philip Morris International] to be able to start doing the same," wrote the company in its written submission. Last year, the B.C. Court of Appeal upheld a lower court's decision that agreed with the company and ruled that in order to ensure a fair trial, the province needed to hand over the patient data. British Columbia's privacy commissioner, who has intervener status in the Supreme Court case, argues that even if the data is kept anonymous, it could be combined with other information to expose someone's identity. "The simple removal of identifying information does not necessarily protect individual privacy," wrote the commissioner's lawyer in a court submission. "The right to informational privacy is a vital component of individual dignity and autonomy, and essential to the exercise of our fundamental freedoms. Respect for individual privacy is an essential component of what it means to be 'free'". David Fewer, director of Samuelson-Glushko Canadian Internet Policy and Public Interest Clinic out of the University of Ottawa, said he'd like to see the court come up the middle on balancing privacy rights with the right to a fair trial. "I think we're going to see from this court a fairly protective reading of personal information in the legislation," he said. "And so my expectation is that tobacco companies are going to have rough time tomorrow and British Columbia is likely to succeed." Fewer, whose group also has intervener status in the case, said he'll also be watching to see how long the court spends discussing the risk of identifying individuals when releasing information, even if it's scrubbed of names and postal codes. "How much can anonymization techniques contribute towards rendering personal information no longer personal? I think that's a really important issue and I think we're going to see more and more of it as data becomes valuable and important to not only government decision making but the private sector," he said. B.C. was the first province to start the litigation process, but every other province has since launched similar cost-recovery cases against the tobacco industry. The B.C. Appeal Court's decision differed from a 2016 ruling by the New Brunswick Court of Appeal that refused to release raw health-care data to tobacco companies. Rob Cunningham, a lawyer for the Canadian Cancer Society, said that after years of delays, it's important that these cases get to trial. "If Exxon caused an oil spill off the coast of British Columbia, they would have to pay the cost of cleanup. They would be responsible," he said. "The tobacco industry, they engaged in a massive cover-up of the health effects. They didn't put health warnings on packages for decades. They had misleading advertising and, as a result of their actions, more people smoked and started to smoke than otherwise would have been the case and there's a cost to that." In 2015, a Quebec Superior Court judge made history by ordering three tobacco companies to pay $ 15 billion in damages in a class-action case brought forward by Quebec smokers. A spokesperson for Rothmans Benson & Hedges, Philip Morris International's affiliate in Canada, said the company would comment after the decision.